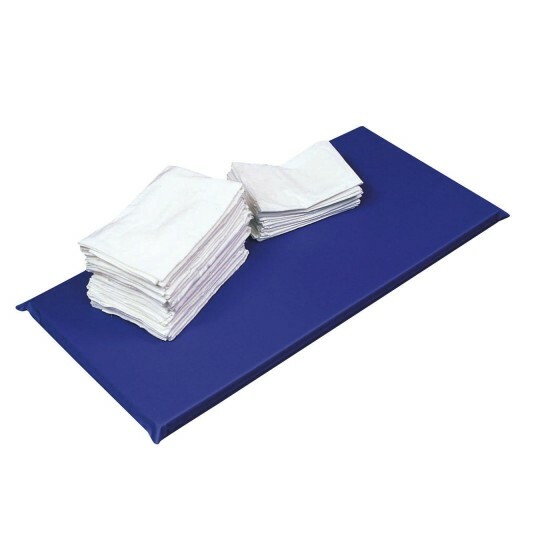 Heavy-Duty Rest Mat - 2'x4'x2"
Provide personal space for little ones at nap time. Constructed of 7-mil flame-retardant soft vinyl that resists cracking. The one-section blue mats are backed with 60 denier nylon and have a flame-retardant foam filling. The mats have hidden seams and no outside binding. They are nonabsorbent and wipe clean.